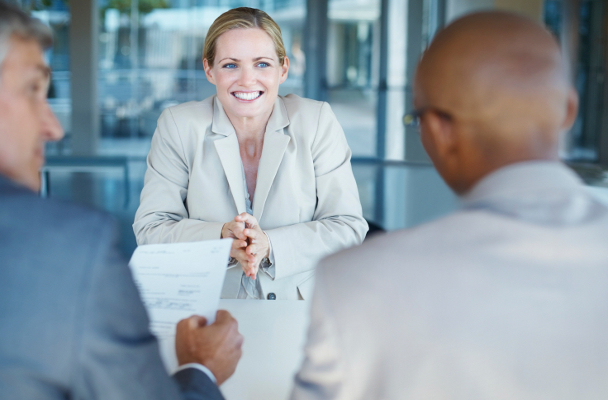 You’ve landed an interview with a Recruiter, now what? Job seekers sometimes feel anxious before meeting with a staffing firm because they aren’t always applying for a specific job at a specific company. This type of open-ended meeting might make it seem harder to prepare and leave you asking, “What should I bring?” or “What do I wear?” Here are a few tips to guide you as you prepare for your interview with a Recruiter. You want the interview with your Recruiter to leave lasting impression for all the right reasons, so dress to impress. If your industry requires you wear a suit and tie to work, wear a suit and tie when you meet the Recruiter. This will be an opportunity for the Recruiter to see what you define as “professional” attire so that he or she will know how you will present yourself at a client interview. – Consider the various aspects of taking a job: salary, benefits, location, title, culture – what are your priorities and where can you be flexible? Don’t be too flexible! This is the opportunity to tell your Recruiter what will truly make you happy and give them a target to work towards. – In regards to company culture, be sure to not only talk about your ideal scenario, but be clear about working environments that have not benefited you in the past. Many firms work on a range of job types including temp, contract, temp to hire and direct hire. Your Recruiter might ask if you’re open to a variety of job types and understanding what each means will allow you to provide an educated answer. Research the benefits of temp to hire. An added perk of being open to varying job types, is that you may get to meet more than one Recruiter at the firm. Who wouldn’t want to have several matchmakers in their corner? It sounds simple and straightforward, because it is. This is one of the easiest ways to score points with your new Recruiter. This next tip doesn’t really qualify as “prep,” but more “follow-up.” After your meeting, the goal is that your Recruiter will send you open jobs. When they do, you have to hold up your end of the bargain. Don’t say “yes” to taking next steps before researching the company and the role so that you can be thoughtful when deciding whether to pursue it. Remember, not every opportunity your Recruiter presents will be the perfect fit, and that’s OK! When you find “the one,” all your efforts will be worth it.